Millions of people in the U.S. suffer from varying levels of chronic pain. For some, it is just a minor nuisance, but for others it can be excruciating and debilitating. Starkwood Chiropractic is a Portland, Oregon chiropractic clinic that excels at providing quality care and treatment for chronic back pain, neck pain and headaches. Our team of Portland chiropractors can perform chiropractic adjustments and soft tissue therapy that are safe and natural alternatives to pain medications and invasive surgeries. In many cases chiropractic care is actually a much more effective means of treatment. Chronic pain refers to any pain that lingers for more than six months. Needless to say, suffering from constant pain for six months can take a heavy toll on your physical and emotional well-being. 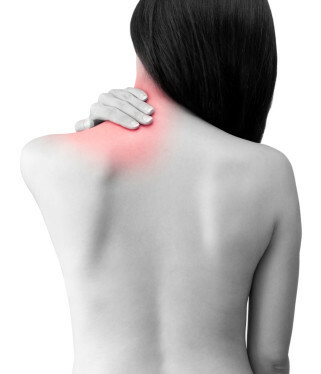 Chronic pain can appear in a number of different forms, such as headaches, back pain, neck pain, and joint pain. It can often be traced back to a physically traumatic experience or an injury, but that is not always the case. Living with chronic pain limits what you are able to do on a daily basis. Daily tasks that used to be easy for you may now be too painful to complete. Your pain might keep you up at night and interfere with your ability to get a good night’s rest. As a result of your lingering pain, you may refrain from taking part in physical activity. This leads to a downward spiral that can further weaken your body and increase your aversion to exercise and inactivity. This emotional distress caused by chronic pain is so common that it has its own name; disuse syndrome. Not only will you live a more sedentary lifestyle, but your constant pain combined with a lack of sleep can make you irritable and angry. This behavior can strain relationships with your family and friends. Painkillers will cover the symptoms and help ease pain, but you can become addicted to them and you will have to deal with side effects. At Starkwood Chiropractic, we are equipped and trained to treat chronic pain. Our talented chiropractic doctors are able to perform spinal adjustments and soft tissue therapy that can reduce tension in your muscles and improve blood flow. If your spine is misaligned as a result of an injury or auto accident, the nerves that traverse your spine can become pinched. This can result in pain that doesn’t go away with time. A spinal adjustment can gently push your spine back into proper alignment and take the pressure off of your nerves. When soft tissue therapy and chiropractic adjustments are used together, they can effectively manage your chronic back and neck pain. You don’t have to settle for living with chronic pain of any kind, and you don’t need painkillers to cope with the pain. Chiropractic treatment is a safe and natural way to deal with your chronic pain, and our chiropractic doctors will work closely with you to find and heal your underlying ailment. Contact us if you would like to schedule a free consultation or ask us any questions.